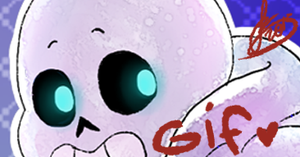 Some days ago I posted a fanart of Sans and Papyrus drawn with the Tim Burton style (KIND OF) and... This is the result. I love to swap styles so this is drug for me. Hope to did a good job! This is a very great representation of the undertale cast! seeing them drawn in the style of tim burton really gives them an edge that I havent seen in other fanarts. I especially love how every character is in a different shape and size. If I had to pick my favorites in this drawing it'll probably Be Sans And Papyrus. The two characters already had so many differences in their appearances but the way you exaggerated them only adds to their aesthetic. Frisk's expression looks both calm and sorta creepy which IMO can reflect the genocider path and the pacifist one. 166 out of 168 deviants thought this was fair. 87 out of 87 deviants thought this was fair. So many Oingo Boingo songs that go with Undertale! You know who was the frontman for Oingo Boingo in their heyday? DANNY ELFMAN! Weird Science could be Alphys's theme song (sung by Papyrus). 'No One Lives Forever' could be about the Skelebros. 'Dead Man's Party' could be about ghost monsters, including but not limited to Napstablook. Forbidden Zone could be about the Underground in general. my opinion on tb ut characters crit- uh i mean sans amazing tori amazing alphys amazing flowey ok frisk amazing muffet amazing mtt EX amazing WALUI- *boop take 2* papyrus amazing undyne amazing ur art is rlly good! mettaton and papyus have toothpicks for legs. Btw, thank you so much for your words and this comment! This makes me laugh, thank you!! Ahahahaha everyone is little bit creepy! Aaaaah of course! If you credit and link the source, you can do whatever you want! ;V; I'm so curious!!! This is so cool!! I love how Mettaton and Papyrus has the skinny legs and arms Tim puts in his characters!! I didn't mean it in a bad way! Tim burton had inspired me to draw like him but seeing this picture of undertale this look great! Undyne looks a little like Sally from The Nightmare Before Christmas, but then again.. It is Tim Burton's style! I love it to death!! !